Fun, lively and full of bounce this athletic arrangement is guaranteed to please. 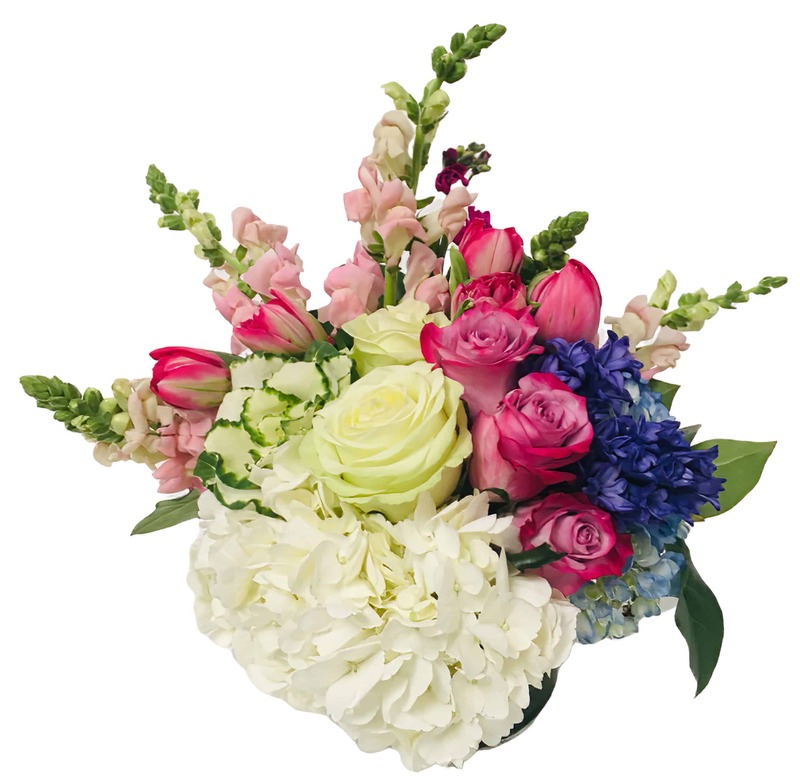 Featuring a playful variety of White Hydrangea, White Roses, Lavender Roses, Purple Stock, and Lush Greens in a beautiful French artistic box with vase. This piece adds a sprig of color and scent to the bedroom or livens up the dinner table with it's bright colors! It also makes the perfect birthday wish or congratulations on any special occasion!